My business name, "SEE" Shore Photography is not a typo. As a photographer, I strive to SEE, not look. To me that means to be present while aspiring to be the best photographer I can be. My goal is to teach my students that same idea - to SEE the world through their lens. In 1998, SEE Shore Photography opened in Newburyport, MA. I have taught thousands of children and adults beginner and advanced photography classes. My students have gone on to become professional photographers, build dynamic portfolios to apply to colleges, exhibit in the area’s most distinguished galleries or just simply get more comfortable with all of their camera's settings. I love being both a photography teacher and professional photographer and think its important to be both. (To view more of my professional work, please visit, www.mintzphotostudio.com) As a professional photographer, it provides me the opportunity to practice my craft while I photograph people, weddings or landscapes. However, nothing inspires me more than my students own photographs and their own unique vision of the world. My love of photography began in my family’s living room in the 1970’s. We use to watch slide shows that my Dad would put together on his Kodak carousels. He used a Nikon Nikkormat to photograph all of our family holidays, vacations, and birthday parties. As I began my college education, my Dad gave me his Nikon camera to take to my first photography class with Bill Short at Bradford College. Just like my Dad, I fell in love with taking photographs so I decided to get a B.A. with a concentration in photography. After gradating college, I headed west and received a photography technical certification from the Rocky Mountain School of Photography in Missoula, Montana. There I learned to master my photography skills by learning from some of the world’s most accomplished photographers today such as, ﻿National Geographic photographer, Galen Rowell﻿ as well as, Dennis Darling and Bruce Barnbaum (Ansel Adam's student). After my education, I continued using my photography skills in many ways. I assisted a professional photographer and worked at a gallery where I became very comfortable curating and selecting art work for gallery exhibitions. In turn, this has prepared me to teach my students about exhibiting their photographs. I also taught photography classes at various community art centers, including YWCA and then the Essex Art Center in Lawrence, MA. It was then that I decided to get my Master’s in Education in Creative Arts in Learning from Lesley University. This helped me to become the best photography teacher I could be. 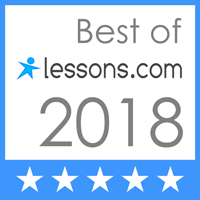 I mostly learned the importance of offering students positive reinforcement and varying my teaching style to appeal to a variety of learners. This means my students are given the BEST opportunity to learn photography- by seeing, hearing, writing and doing. Finally, most recently I was selected to be a Artist in Residence in Maine to teach 4th graders photography, wrote an article for and taught to the Greater Newburyport Mothers and Families Club (tips on photographing children), as well as have exhibited my photographs locally. In the future, I would like to perhaps write a photography book or offer photo classes nationally or internationally, but I know for sure I'm forever learning and look forward to SEEing more of the world.